5.2 Given a scenario with potential environmental impacts, apply the appropriate controls. Welcome to ExamNotes by CertBlaster! In Objective 5.2 “Given a scenario with potential environmental impacts, apply the appropriate controls”, we will look at some of the ways we can control the negative impact of the materials we handle on the environment. Airborne particulate matter can primarily be a health hazard but equally, it can build up inside your equipment clogging fans and increasing the possibility of overheating. Machines operating in an environment where these contaminants are present should use specially designed protection. People operating those machines need personal protection. Here is an unprotected CPU heatsink after years of unprotected operation. This CPU is overheating. The PC needs to be protected from environmental hazards. Equipment operating in an environment where airborne dust or other fine suspended particles require additional protection. Here’s a look at a well-sealed dust-proof PC enclosure. 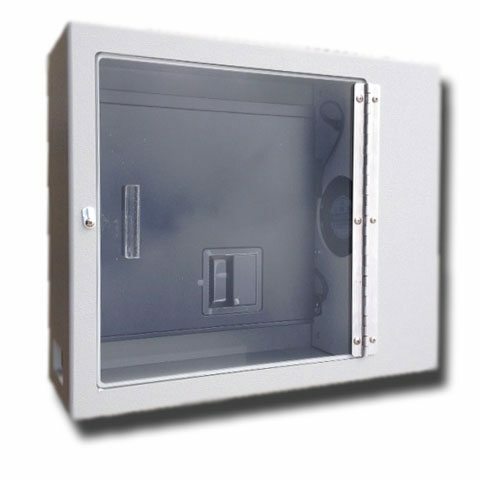 This enclosure will not permit air to enter anywhere except the specified air intakes like fans and vents. These openings will have filters that should be monitored for buildup of debris. This condition guarantees overheating caused by obstructed airflow. Since most PCs use one or more fans to create negative pressure inside the case draw outside air into the system for cooling. It is important to recognize exactly what is contained in that air. The power supply cooling fans draw these contaminants through the vents into the enclosure where they can build up. This buildup can prevent the internal components to be covered in a buildup of this fine debris thereby reducing the ability to conduct heat away from sensitive electronics. The solution, aside from regular vacuuming, is a specially designed enclosure. These enclosures use air filters on the intakes and fans to forcibly create positive airflow to the unit providing clean air to the system. Ideally, the intake for the enclosure would draw air from outside the contaminated area to keep the filters from premature clogging. As mentioned above air filters will prevent contaminants from entering the device and reducing the buildup on fans, capacitors, and heatsinks designed to dissipate heat. 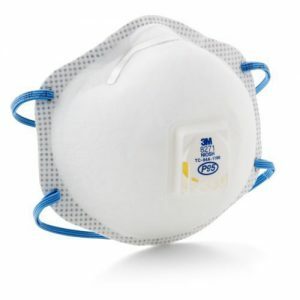 An air filter mask is the first line of personal protection for airborne contaminants. Make sure you have a good seal around the whole mask. Leaks will be evident after a period of exposure by a streak of debris on your face. Double check the seal. As noted above dust and debris will decrease the internal device components ability to conduct heat out of the system. These contaminants will also cause premature wear and failure of moving parts like fans and optical media readers/writers. There are two main solutions to the dust and debris problem. One is compressed air. Compressed air is great for the relocation of contaminants. The keyword here is relocation. Since it does not remove the contaminants and only blows them off of the components you should exercise care not to fill your workspace with this material. 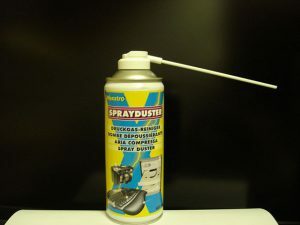 It’s best to use compressed air outside your building where the dust can be dissipated by the atmosphere. You won’t make any friends by blowing out a dusty PC in your shop. 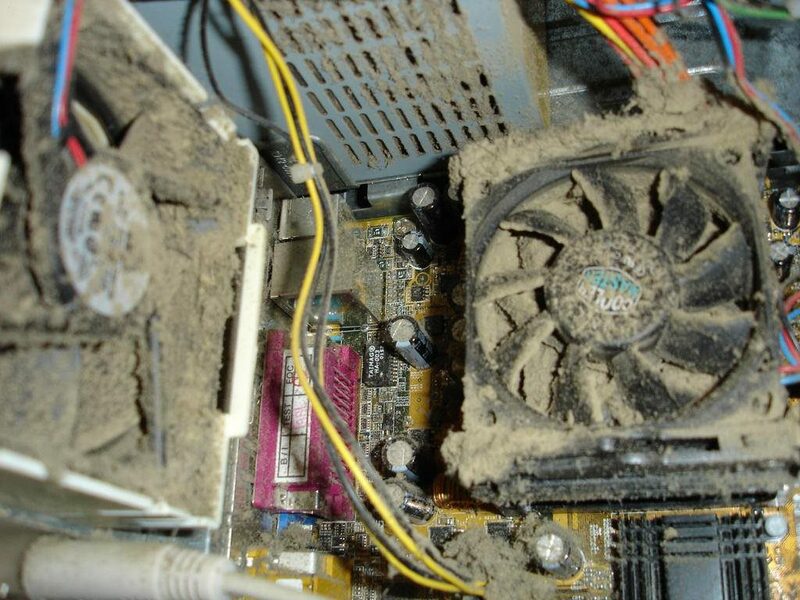 A good anti-static vacuum is the best method for cleaning out a dusty PC. It will clean out and contain any contaminants preventing any secondary contamination of nearby parts and people. Be absolutely sure that the vacuum is rated as anti-static. There should be no metal parts or attachments that will damage the sensitive internal components. Think about the high-speed fan generating static that could easily be conducted to the components, not optimal. Here is an approved Anti-Static Vacuum. As noted earlier in Objective 5.1, there is a myriad of regulations governing the safe operating practices in your workspace. The Federal Regulations published by the Occupational Safety and Health Administration (OSHA) mandates standards for procedures and material handling. OSHA is responsible for the protection of workers exposed to any number of hazards. In our case, the Control of Hazardous Energy (Lockout/Tagout) includes the practices and procedures for disabling equipment that will present a shock hazard. Do pay attention. Also, there should be an MSDS on file for any hazmat you will come in contact with. Failing to observe the electrical standards can result in immediate harm to yourself or coworkers. Hazardous materials can cause immediate harm in some cases but there are also long-term effects that may not be recognized right away but could lead to life-threatening conditions like liver or kidney damage and ultimately cancer.